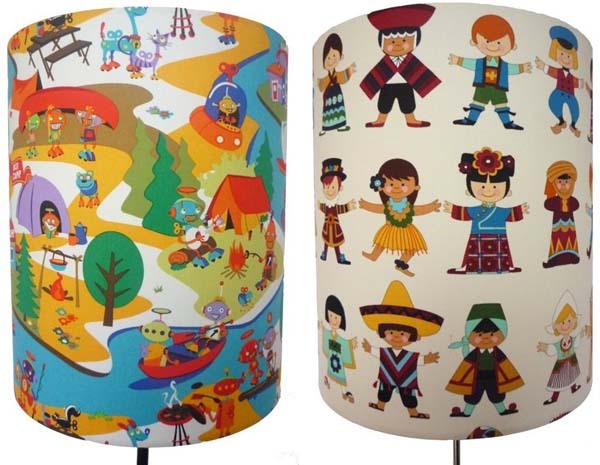 These retro-inspired lampshades take me back to sweet memories of laying in bed as a kid staring at my own Wombles lampshade. More than a light fitting, these beauties are fuel for a child’s imagination! Lady Luck Lampshades are handmade in Melbourne to fit table lamps, floor lamps and even ceiling pendant fittings. Bases aren’t included so it helps if you already have one, otherwise there are a select few available for purchase with your chosen shade. More than a lampshade, you’re also getting a practical piece of art to complement any child’s bedroom decor. Kids will love watching the gnomes light up in the hustle and bustle of Gnome Town. This is the second time this charming gnome print has caught our eye here at Babyology! 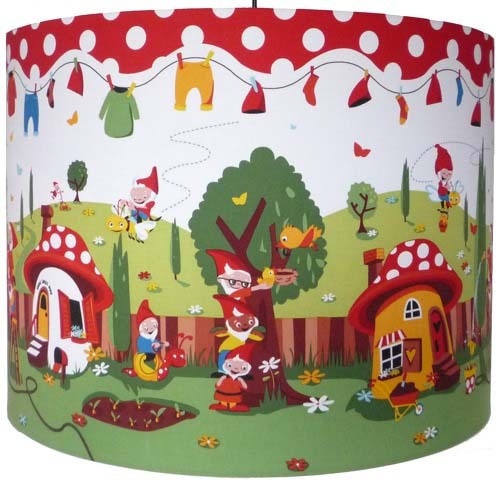 For little girls there is the Alphabet Fairies lampshade in pretty cream and pink. If it’s an injection of colour you want, then choose Robots Are Rad, with colours to suit both girls and boys! For fellow polka-dot obsessed Babyologists, there’s also a few of these up for grabs! The fantastic folk at Lady Luck Lampshades are offering our readers a fifteen per cent discount off all children’s shades during December – just use the code ‘Baby15P‘ during the checkout process! Shades start at $79 and delivery is available all over Australia.